The common debate all over is whether to opt for the traditional aluminum and wooden windows or the latest range of uPVC windows. Some might point out their hesitations in choosing the new and would like to stick to their old and familiar choices. If you are one of them, read below to understand why opting for uPVC windows and doors are a better option than the former. You might believe the regular replacement of your windows and timely repairing them is a natural practice. Though, this isn’t the case when you have uPVC windows installed at your place. Unlike traditional wooden and aluminum windows and doors, uPVC windows don’t wear off easily. They are highly durable and strong to sustain every unlikely situation for a long time. Who wants such windows that will not protect them from the outer world? People install windows at their homes to stay protected and away from the outside world but unfortunately, the aluminum and wooden windows fail to do so, uPVC windows, on the other hand, restrict heat, cold, and rain from entering your place completely. It also insulated your home loud noises and sounds. The uPVC windows come in double and triple glazing, ensuring more protection from the external negative stimulus. The glasses are held securely with galvanized metallic frames that protect them from breaking. The highly secured locking systems of these windows ensure complete safety and security from robbers, burglars, and external pressure. 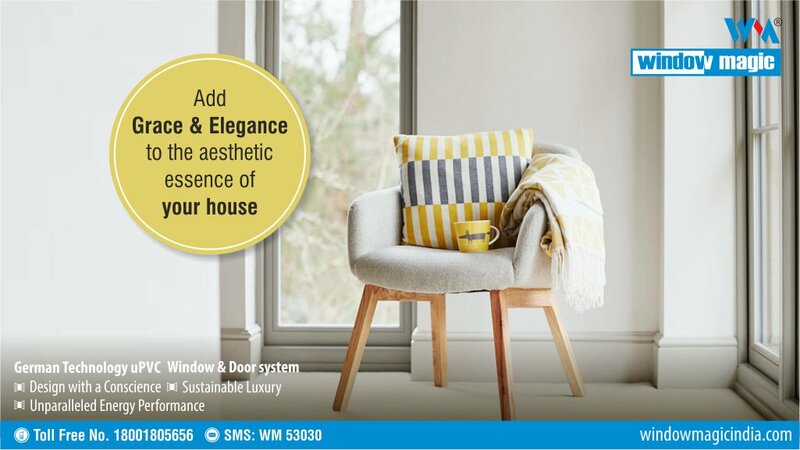 To know more about the uPVC double glazed windows price, visit the official website of Window Magic. Many might believe that these qualities will also result in high prices. This is not true. It might come across as a shock for many, but uPVC windows price are much less than wooden windows. Wooden doors and windows come in various styles. Due to their style, weight, and availability, the uPVC window prices in India is much lesser than that of the former’s. Contact Window Magic to get the exact idea about the uPVC doors and windows prices list.